/ Home / Student life / Magazine / Issue 4 / Competition: win a Kindle Paperwhite! Competition: win a Kindle Paperwhite! 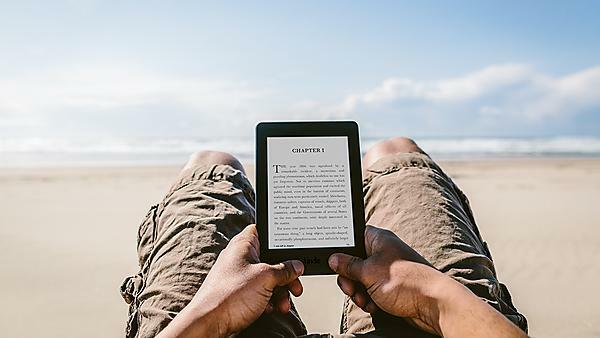 Instead of packing up all your books, you could be taking a Kindle Paperwhite to uni. Unlike your parents’ car, the latest version of the e-reader holds 1000s of books. Lighter than a paperback novel, and with twice as many pixels as the previous version, it has an improved 6” high-resolution screen that reads like real paper. Its built-in light allows you to read day or night with no glare, it has Wi-Fi, and a battery charge that lasts for weeks. Which of these dates is a Plymouth University Open Day? Struggling for the answer? Look here to find out, where you can also register for an Open Day. The closing date for all entries is 30 November 2016. This competition closed for entries on: Wednesday 30 November, 2016. By registering for an Open Day or requesting a copy of the next issue you are agreeing to receive future information from Plymouth University. If you don’t want to receive this information please add the words ‘NO INFO’ at the end of your text message and tick the relevant box on the web form above. Promoter: Immediate Media Company Bristol Ltd/Plymouth University UK and Channel Island entrants only. Competition entrants should be 16 or over. Promotion excludes Immediate Media and Plymouth University employees, their friends and families. By entering you agree to be bound by all the rules of the promotion. Only one entry per person per competition allowed. No responsibility accepted for lost, delayed, ineligible or fraudulent entries. Please direct queries to outreach@plymouth.ac.uk or call +44 (0)1752 585858. Winning entries will be chosen at random from all eligible entries. Winners will be notified within 28 days of the closing date. The draw is final and no correspondence will be entered into. For details of winners send a SAE within two months of the closing date. If any winner is unable to be contacted within one month of the closing date, the promoter will offer the prize to a runner up. The promoter reserves the right to substitute with one of the same or greater value. There is no cash alternative. By entering any competition you are agreeing to receive future information from Plymouth University. If you don’t want to receive this information please tick the relevant box on the web form. Promoter: Immediate Media Company Bristol Ltd/Plymouth University. UK and Channel Island entrants only. What can you do with a degree in social work? What happens in the first weeks of university? Why go to a university open day?